Visited 2018-12-15 about 1830. Walk in order for personal pan. Service took about 15 minutes. Staff was friendly. Stopped here for lunch as it is down the road from our RV park. 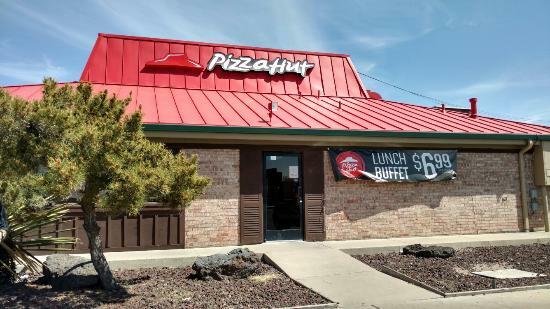 This place is no different than any other Pizza Hut. Pizza was pretty good. Give it a try. Deep Dish is the Best! We love Pizza Huts deep dish pizza. Stopped in for lunch on a road trip. The service was great and so was the pizza. I would add a few more things to the salad bar though.